Carbos and fat. And salt. Done. 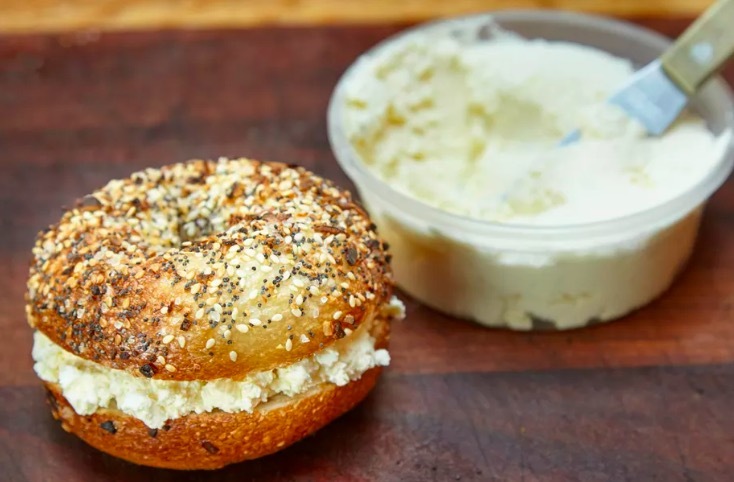 Since learning of plans for Daily Driver, a combination creamery and bakery that’s headed to Dogpatch, San Franciscans desperate for a decent bagel have been whipping themselves into a frenzy. Not just yet, but after two years in development, Daily Driver will open as soon as March, unveiling a 5,000-square-foot industrial space at 2535 3rd Street (next to Magnolia Dogpatch). There, in a space mostly devoted to wholesale production, customers can finally get their fix, sitting at 130 seats and an upstairs mezzanine while they watch bagels baking, smell Red Bay coffee beans roasting, and hear the slap of butter as it’s hand-paddled. 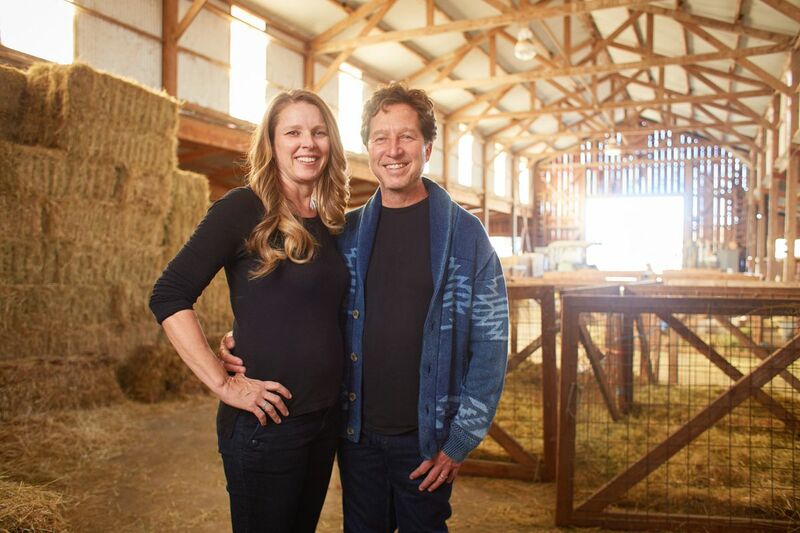 Hicks and David Jablons, her husband and Daily Driver partner, split their time between Potrero and West Marin, where they run Toluma Farms and Tomales Farmstead creamery. 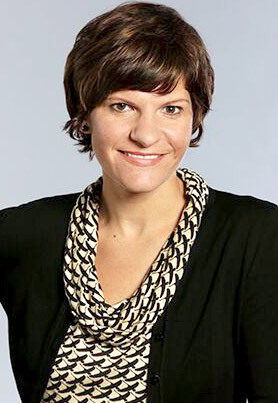 In San Francisco, she’s a clinical psychologist and he’s chief of thoracic surgery at UCSF. They purchased their farm 15 years ago, restoring lapsed farmland and grazing goats. Up at the creamery, cheesemaker and Daily Driver partner Hadley Kreitz developed her European-style cultured butter and cream cheese recipes. Using milk from Jersey cows at Marshall Home Ranch & Dairy, Kreitz will adapt her process to an urban setting at Daily Driver, which will become San Francisco’s only cheese-making creamery. “When I talk about [Daily Driver], I like to say it’s a maker space, a place where you see the butter and cream cheese made in front of you,” says Kreitz. She’ll also serve ricotta, quark, a German-style cheese similar to Greek yogurt, and ghee, a clarified butter originally from India. No waste is the mantra, and creamery by-products like skim milk and buttermilk will be available to local chefs and home cooks for purchase. 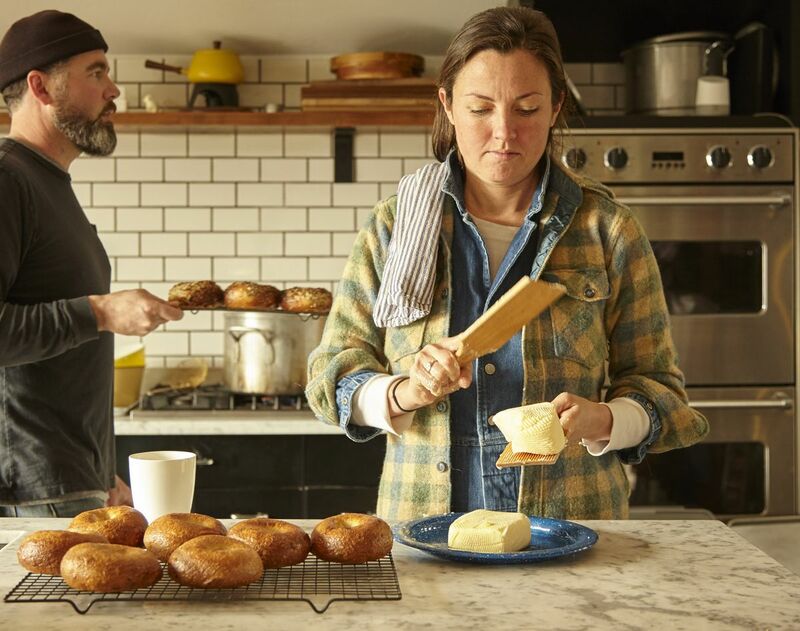 Industrial designer David Kreitz, Hadley’s husband and Daily Driver’s fourth partner, designed the bakery’s wood-fired oven and developed its New York-style bagel recipe. That’s apparently good enough to please Jablons, a native Manhattanite. Served in classic flavors like poppy, sesame, and everything, Daily Driver’s bagels will be hand-rolled, boiled, and wood-fired daily. On top of cream cheese, customers can order them with seasonal vegetables, fish, and herbs. Kreitz’s ovens will also turn out pretzels, baguettes, and bagel dogs, and Daily Driver will round out the menu with soups, salads, and sandwiches. Beyond their business, Daily Driver’s partners share a passion for car restoration, which lends their business its name. A daily driver — like the 1975 Ford Ranchero Hicks uses around her farm, is a go-to, everyday vehicle — what the team hopes their bakery and creamery will become for regular customers. To keep them up-and-running, Daily Driver will also serve coffee from Oakland’s Red Bay Coffee Roasters, who will roast a house-blend on-premises. The idea of restoration — returning fallow land to farming, as in West Marin, or Dogpatch industrial space to production — is a central theme for Daily Driver. But it’s a little bit literal, too: A portion of Daily Driver’s sales will support Project Wreckless, an Bayview body shop that teaches local kids car restoration skills. Keep an eye out for updates as Daily Driver rounds the corner and approaches an opening date.